Warm friendly welcome to all here. London Pride and Harvest Pale in good condition when I visited. With New Brewdog pub and Broadway close by it makes Broad street a worthwhille walk. The Lord Homo is a great pub. They keep their beer well, and the wine is a bargain for the bottle. Bar staff are friendly and know what they are talking about. A proper pub with a roaring fire in winter and good, if basic, food. Just what you need for a meal and a pint. Primarily a gay friendly pub, but anybody is welcome in this place and is generally trouble-free. Average selection of beers, but such a nice environment. Makes a lovely refreshing change from the more crowded, noisy bars of Nottingham. Good, cheap food as well. A friendly and often crowded gay pub with an average selection of beers. 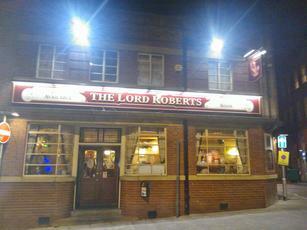 Can be hard getting a seat at weekends, but it's still worth a visit if you're out drinking near the Lace Market.